يشكل فندق San Simeon Beachfront Apartments بموقعه الممتاز في قلب توغون نقطة انطلاق ممتازة لاستكشاف جولد كوست. يجذب هذا الفندق ذو 3.5 نجوم، والذي يبعد 10 km.Km فقط عن وسط المدينة و 3 km.Km عن المطار، الكثير من الزوار سنوياً. سوف يعشق النزلاء موقع هذا الفندق، فهو قريب من أهم المعالم السياحية في المدينة كمثل مستشفى جون فيلين, Tweed And John Flynn Cancer Clinic, توجون . 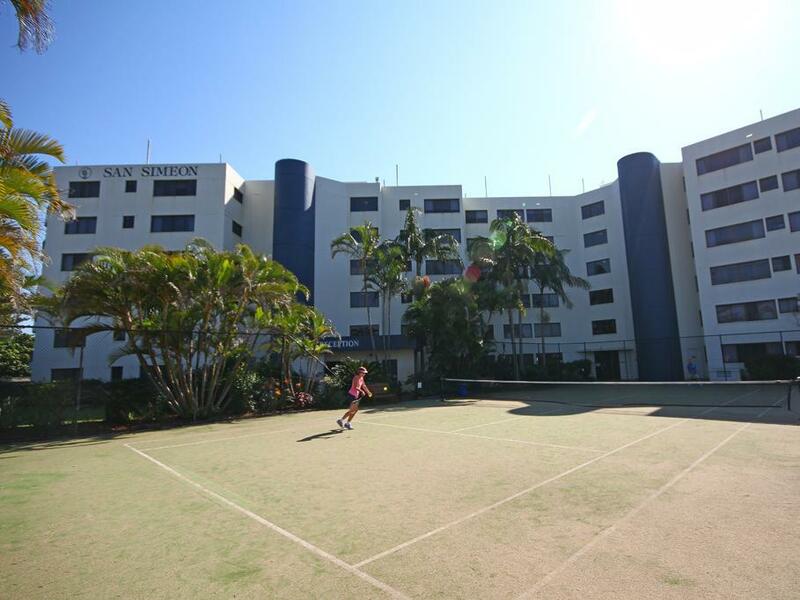 إن الخدمات التي يقدمها San Simeon Beachfront Apartments تضمن للنزلاء إقامة مريحة. يقدم هذا الفندق العديد من الخدمات الكفيلة بإرضاء أكثر الضيوف تطلباً. يمكن للنزلاء الاختيار من ضمن مجموعة من الغرف المصممة بعناية لتعكس جواً من الراحة، والتي يتجاوز عددها 36. يقدم الفندق مجموعة رائعة من الخدمات كمثل حوض استحمام ساخن, ساونا, مسار جولف - ضمن 3 كم, حمام سباحة خارجي, سبا، لجعل إقامتك تجربة لا تنسى. إن San Simeon Beachfront Apartments هو خيار ذكي بالنسبة للمسافرين إلى جولد كوست، بما يوفره من إقامة هادئة ومرحة. We have stayed at San Simeon on several occasions and have always had a great stay. The only area of concern is that the quality of the units does vary ( we have been fortunate). Apart from that the facilities and location are fantastic, a credit to the management. We were upgraded to a superior room which was a lovely surprise. I think we would re-book this style as I believe the standard is quite basic. Only negative would be no air conditioning for summer, but lovely for this time of the year. Unit was abit old but was equipped with everything to make it a comfortable stay. No complaints at all. Just what we needed. Safe environment for kids. Skate park down the road. Pool and beach at doorstep. The view and location were amazing. The living area was large and spacious. The staff were rude and unprofessional. I called with a house keeping complaint. There was a large spider web on the wall and an ice block stick on the window sill and the sliding doors didnt open, I was rudely questioned by the reception staff as to the exact whereabouts of the spiderweb. We were told the sliding doors weren't opening because the unit had recently been recanted for four months and needed replacing - no offer of repair. The back door didn't lock properly, the reception woman who checked us in decided to use the third set of keys to enter the unit while we were there (we were given 2 sets of keys). Views, proximity to the beach, size of apartment. Stay was great. Convenient for what we were doing. Lots of room for the kids. Handy to everything. We Enjoy our Stay at your apartment, with all neccesary items we need are available and provided. And the Ocean view facing of the apartment is beautiful. Thank you, I will recommend to our friends. We enjoyed our stay. 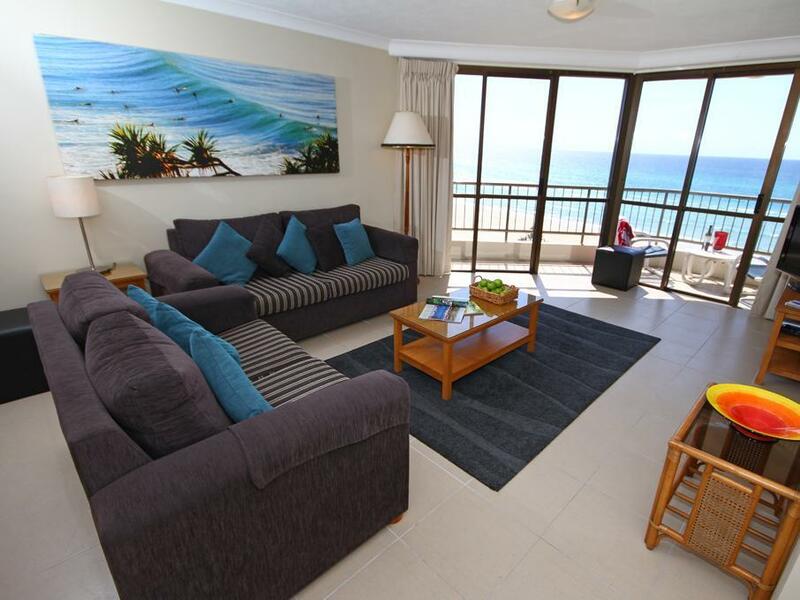 The unit was great and it was beautiful being able to see views to Surfers' Paradise and Coolangatta. There were many eating places within walking distance. We would like to have stayed longer. 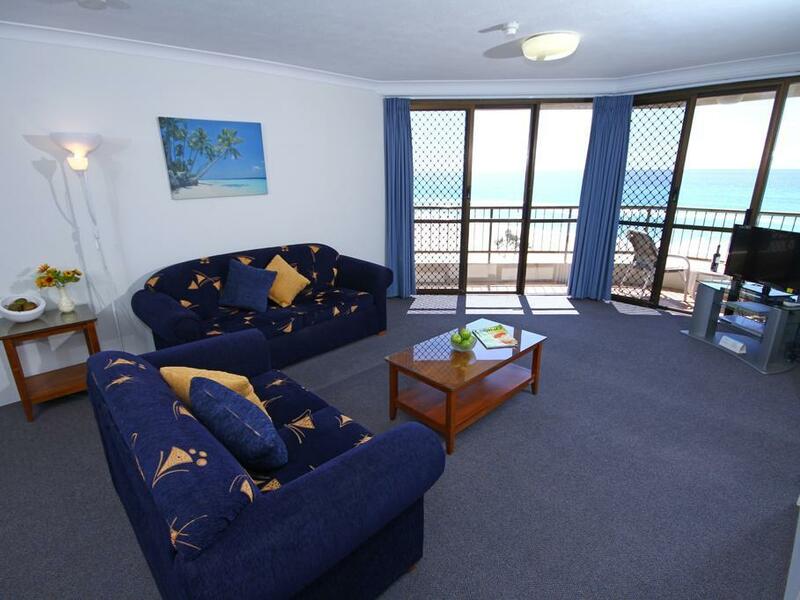 A great holiday apartment, right on the beach with a wonderful view of the ocean. It was close to the shops; a pleasant walk. The amenities were well used by the family. very nice apartment. 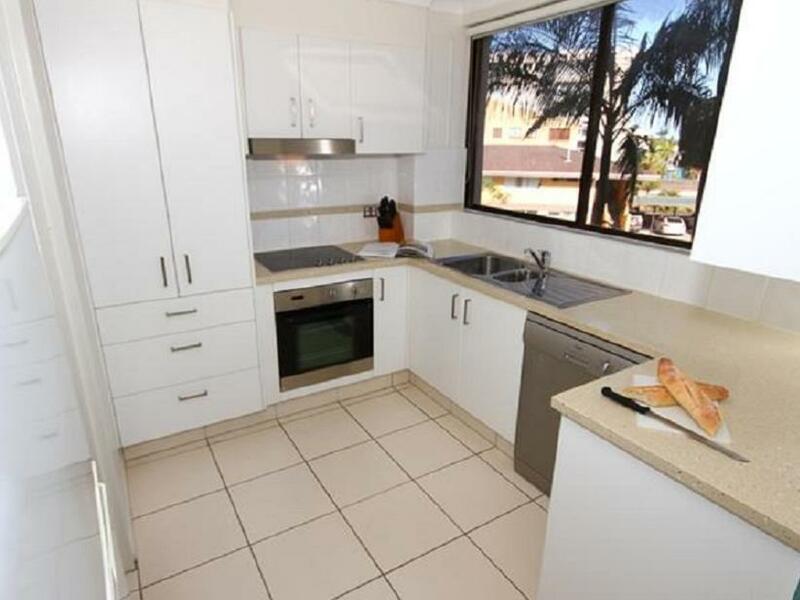 good kitchen and very close to the airport. just walks away from the beach. very beautiful view. We love it very much. All were fine. I ve very clearly booked as 3 adults and 3 kids with agoda but i was been collected a $150.00 by the san simieon management, which irritated me a lot.If you can do something about it will be appreciated. you can contact me on 0403692129.
the immeadiate reaction was the friendly reception and the help provided.this self contained accomodation is very relaxing and comfortable. views of the ocean is brillant. Right on the beach, fantastic views and ever so peaceful. No hustle and Bustle! 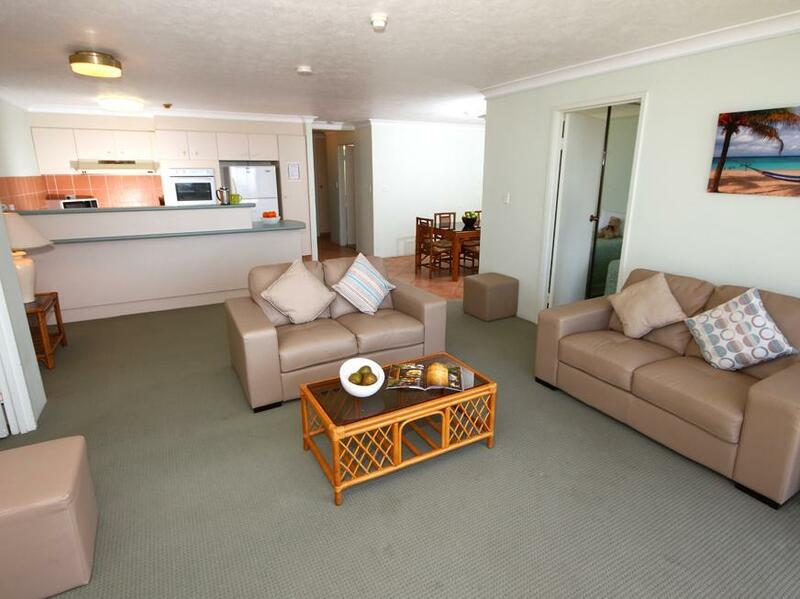 would highly recommend these apartments to anyone, clean, spacious with the beautiful view of the beach. it has a lovely calm and peaceful atmosphere, while still being close enough to shopping and activities. the service was excellent also...thank you san simeon. we will be back! Close to the beach and peaceful setting. Will be back...cannot complain about anything. Excellent service and clean spacious rooms. Thank you. we stayed only one night but would be great place to stay for a week ...2 bed unit had 2 bathrooms and even washing machine with complimentary washing powder. jacuzzi and sauna on roof as well as outdoor pool and 50m from the beach ...this is awesome place.